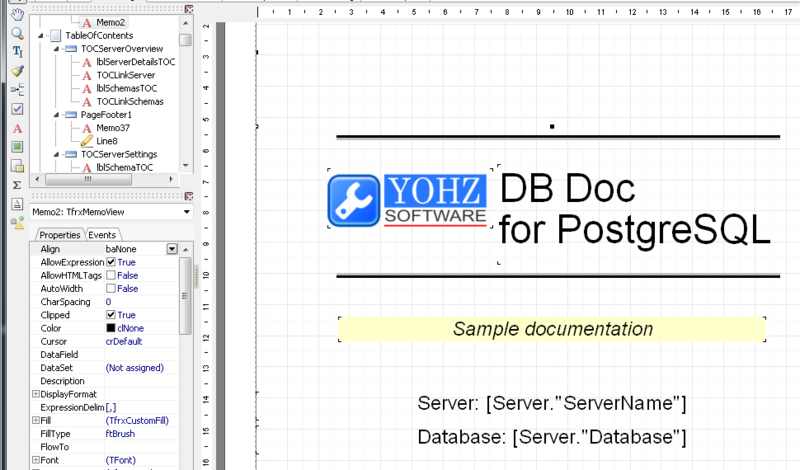 In DB Doc, the PDF and Word reports share the same templates. On the Create docs page, select the PDF settings tab, and click on the Edit button. This brings up the report editor page. 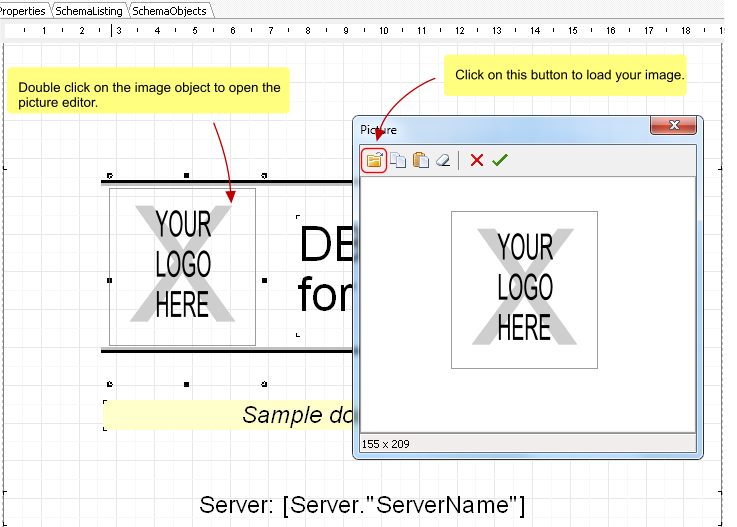 Double click on the YOUR LOGO HERE image object to display the picture editor. Click on the Load button to load your company logo. 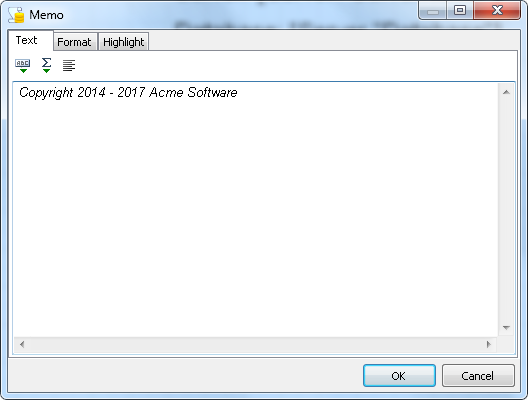 You can load any jpeg, png, or bmp image. Once loaded, click on the OK button. Your log is now displayed on the report. Resize the logo, or reposition the logo as per your requirements. To modify the copyright message, scroll down the report until you see the footer. 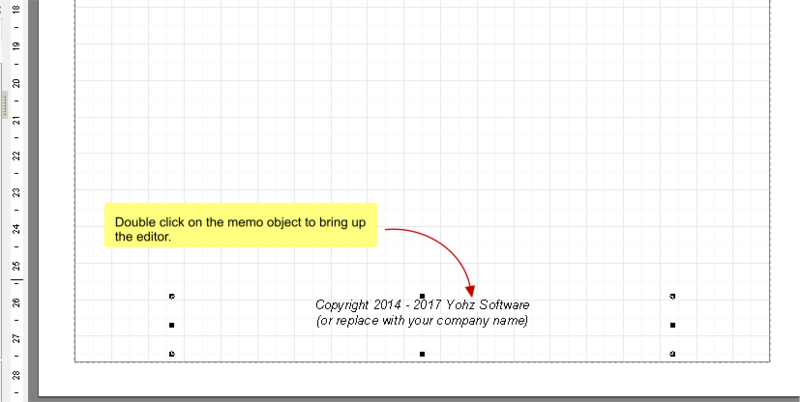 Double click on the footer to bring up the memo editor. Modify the text, and click on the OK button. 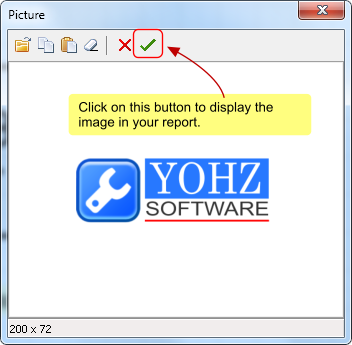 The modified text is now displayed in your report. To make these changes permanent, save the report template, either using the existing name, or under a new name. If you save the template under a new name, remember to select that template when you generate the PDF report. 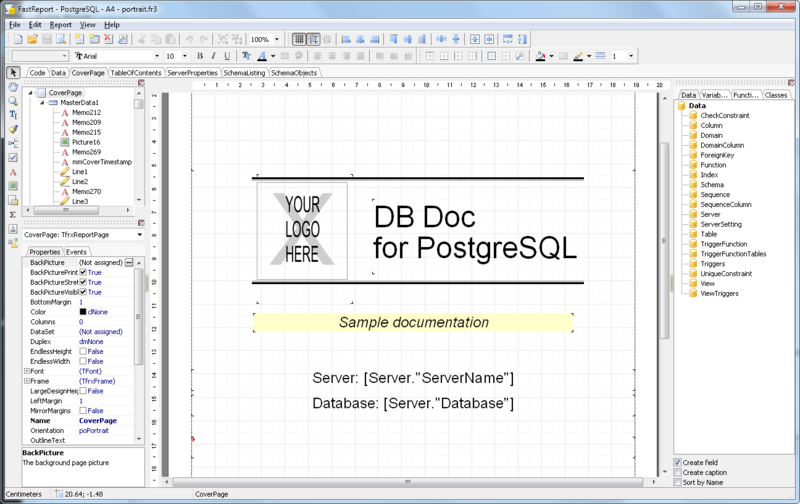 This entry was posted in DB Doc and tagged DB Doc, PDF on April 4, 2017 by bloggyadmin.